The most popular blog post on I Tried It Reviews for 2015 is my entry reviewing the CrossRope jump rope system. Apparently there a lot of Crossfitters out there are looking for the perfect double under or even triple under jump rope! For the record, the Crossrope is for anyone looking to build up stamina and strength. I highly recommend the Crossrope! I still use my Crossrope for all workouts that call for a jump rope. When the metcon calls for single under jumps, I will use one of the heavier ropes in the Crossrope system. Excited about the Bolt Set! development and maturity.The system has incorporated smaller and lighter handles, smaller more streamlined rope connections and most recently a brand new handle designed for speed! Sometime in 2015, the also introduced a set for outdoor use. 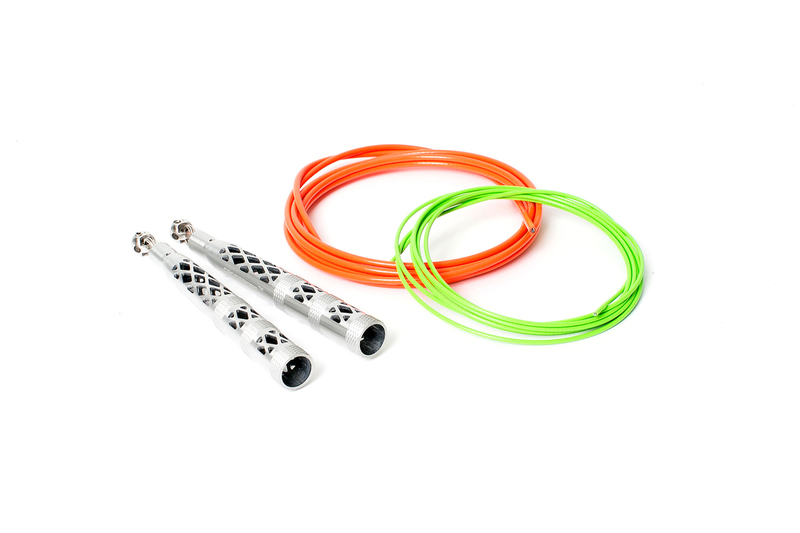 In 2016, I will be getting the new CrossRope Bolt jump rope. Excited to get this rope into my arsenal. Will publish a review on this product as soon as I have put a few thousand double under jumps on it. The popularity of the Crossrope also appears to be growing. The list of popular health and wellness supporters has grown to include Men’s Fitness, Muscle & Fitness and Shape to name a few. Additionally, the Crossrope youtube site has one of the best training vides for triple under jumps on the internet! If you are still working on double under jumps, the concepts in the triple under video can be applied to learning how to do double under jumps.